Considerable settlements have been granted in the courts for companies not in compliance with current regulations. To support reasonable accommodation and ensure legal compliance, and to provide the ability to ensure all customers receive the complete and accurate information they are entitled to Crawford Technologies delivers industry-leading services and solutions for the delivery of transactional documents in alternate formats to your visually-impaired customers. For the blind, partially-sighted, and for those with cognitive disabilities, the ability to access bills, statements and other transactional documents in the format that they request is a legal right and a way to ensure customer loyalty. With over 25 million North Americans having profound visual impairment, governments and corporations alike are seeking to eliminate the barriers in providing reasonable accommodation for customer communications. We provide transcription, production, quality assurance, fulfillment and distribution of your critical customer communications at our secure facility. 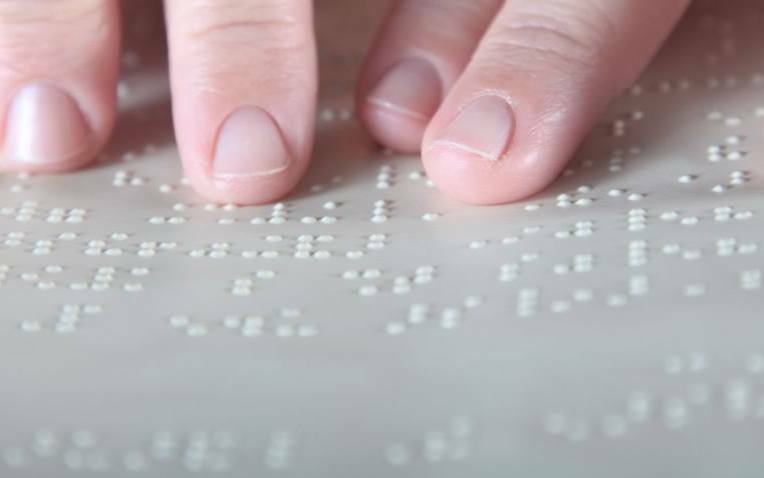 Our services include production of braille (type 1 and type 2), large print, audio, e-text, and transcription to accessible PDF in multiple languages. Our expertise in accessibility and alternate formats ensures that you’ll get the highest quality results – even with highly complex transactional documents. The CrawfordTech U.S. and Canadian service bureaus are PCI-DSS compliant and have successfully completed a Service Organizations Controls (SOC) 2 Audit Type II examination audit. This ensures that we comply with regulations such as the Health Insurance Portability and Accountability Act (HIPAA), the Gramm-Leach-Bliley Act of 1999 (GLBA) and ISO 27001, providing the highest security for our customers and their customers. Our work is done onshore in our secure facilities. Our professional services team also offers custom engineering, consultation and conversion services for Crawford Technologies licensed software solutions, Accessibility Express, Auto Tagger for Accessibility, and Voiceye Maker for Operations Express. With a comprehensive range of services and a rich portfolio of solutions, Crawford Technologies is truly a one-stop shop for all of your document accessibility needs. To be in compliance with current regulations, this telecommunications firm needed to provide statements in both print and electronic accessible formats to their blind, partially-sighted, and cognitively disabled clients. CrawfordTech’s Document Accessibility Services facilities takes their electronic print files and re-formats these into braille, large-format print, e-print, e-text and audio files at their PCI-compliant facilities, allowing them to deliver accessible documents in a pro-active and timely fashion.